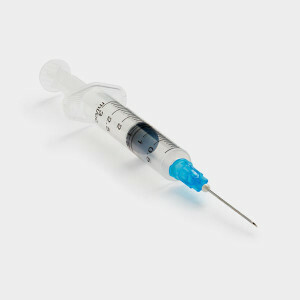 As of a 2008 California law, it is illegal to dispose of sharps waste in the trash or recycling. 1. Purchase an approved bio-hazard sharps container from a local pharmacy or utilize a state-approved mail-back service. 2. Drop off sharps at a collection facility. REMEMBER: Sharps must be transported in an approved bio-hazard container. Where do I purchase an approved bio-hazard container? Where do I drop off my sharps for free disposal? Eastern Regional Landfill accepts home-generated sharps waste from area residents free of charge. Sharps must be delivered in an approved bio-hazard sharps container Tuesday – Saturday 8am – 4pm. Tahoe Forest Pharmacy accepts sharps waste only from their patients. Return your sharps waste when refilling your prescription. Where do I locate a certified mail-back service provider? The following mail-back services are authorized for use in California by the California Department of Public Health. Note that many of these services provide mail back kits, which is a simple way to manage all of your home-generated sharps waste. Do not put needle caps back on needles to avoid injuring yourself from needle pricks. Stericycle runs a sharps container mail-back service for small quantity generators of waste. They include bar-coded waste shipping containers, prepaid and pre-addressed shipping labels and prepaid disposal and tracking. Find out more. Republic Services offers a mail-back service for managing home-generated medical waste. Find out more. MedPro offers various sizes of mail-back sharps disposal systems, starting with 1.2 gallon containers. All containers are mailed to recipients via USPS with a prepaid return slip and proof of destruction manifest. Find out more. GRP and Associates offer a mail-back sharps disposal service. They will mail you a sharps container, which you package and mail-back to them. Find out more.